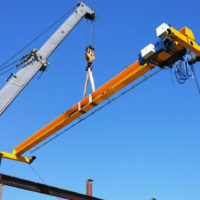 For one of the largest Ukrainian companies specializing in the development and implementation of investment projects in the field of civil engineering for industrial and infrastructure facilities, two bridge cranes of the KMO-10.0-16.5-10 model were designed and manufactured at the «Kyiv Crane Machinery Plant LLC» , and one crane - KMO-16.0-16.5-10.0. 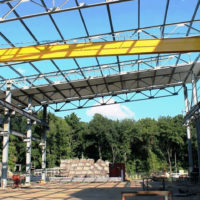 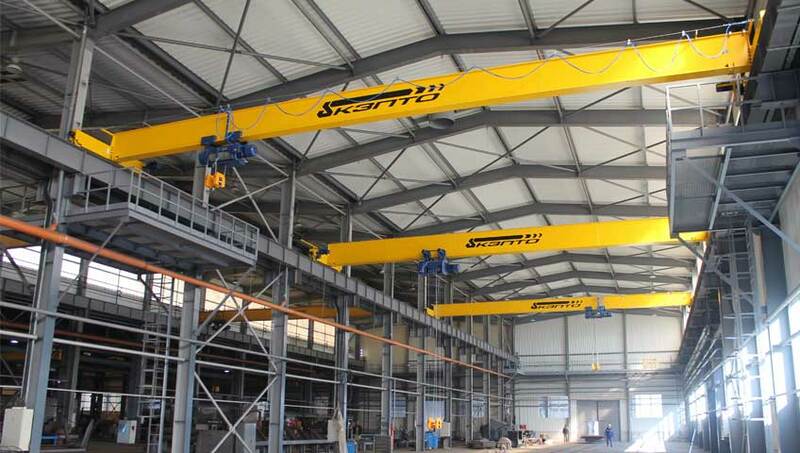 New bridge cranes are designed to work in a steel plant owned by the company. 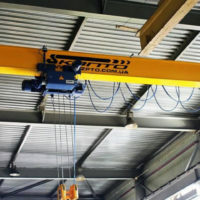 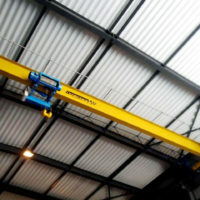 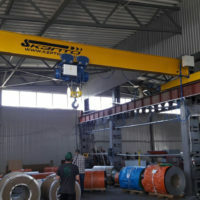 After examining in detail the purpose of the necessary equipment and the Customer’s technical tasks, the specialists of «Kyiv Crane Machinery Plant LLC» suggested equipping the crane machines with two-speed mechanisms of movement, and hoists with one-speed ones (for lifting / lowering and moving). 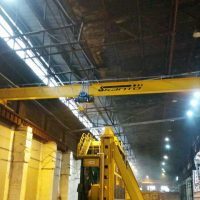 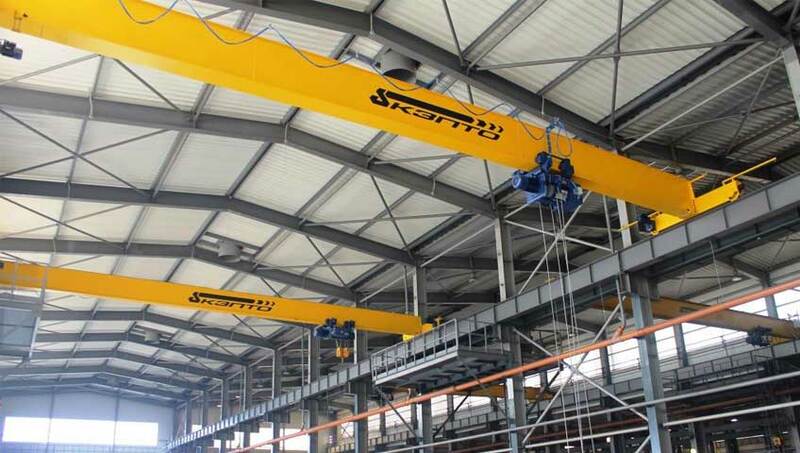 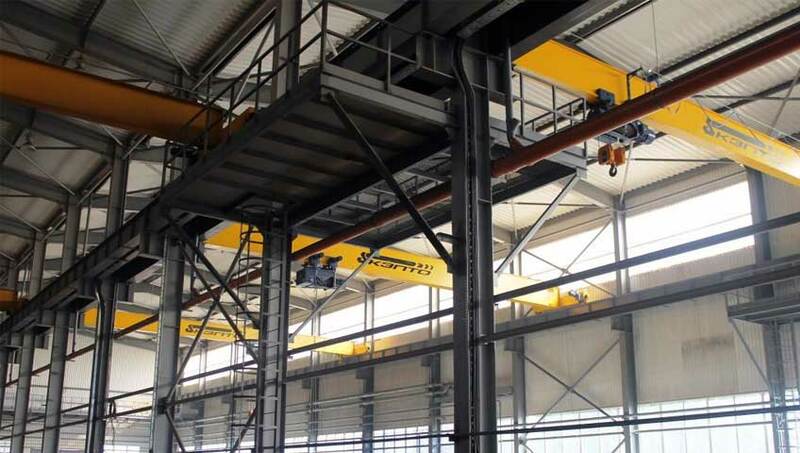 Thanks to the carefully developed PW (project of work) and the high skill of the Kyiv Crane Machinery Plant LLC specialists, the installation and commissioning works were completed as soon as possible. 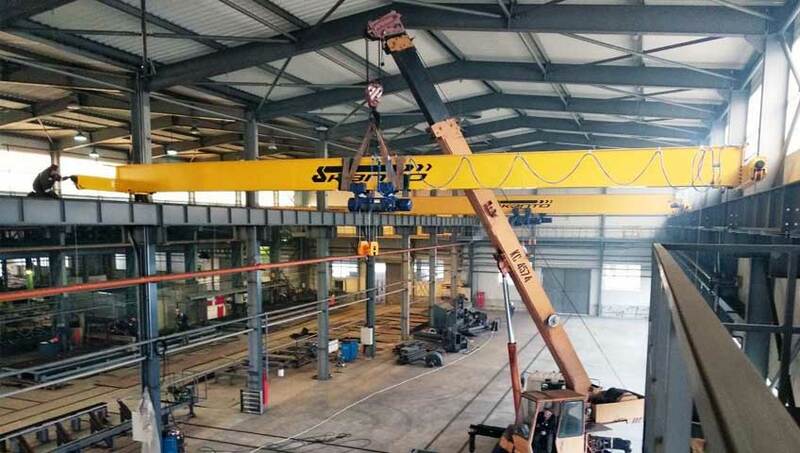 The high quality of the equipment was confirmed by successful statistical and dynamic tests, after which all three bridge cranes were put into operation.